Tim Holtz Idea-ology HITCH FASTENERS TH92731 at Simon Says STAMP! TH92731 /1.4 MARCH This item is on reserve until If you would like to reserve this item now, you may purchase it now with the rest of your order. We will hold your order now and ship your entire order as soon as this item is back into stock. If you would like your order to ship now, please place this item on a separate order. 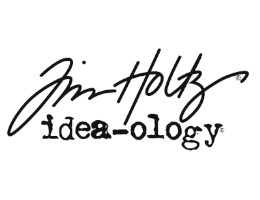 Success, Tim Holtz Idea-ology HITCH FASTENERS TH92731 has been shared! Tim Holtz has designed these useful and innovative embellishments! These 2 piece components require noting but a couple of holes. Insert the screw into a 0.125 inch hole, fasten the hitch, punch a 0.18 inch hole in the piece you want to attach, and you're ready to roll. These innovative fasteners are perfect for jewelry, book closures, and even attaching a variety of elements to your projects. The Hitch Fasteners measure approximately 0.37 inch installed. The package includes 12 fasteners (4 of each antique finish - nickel, brass, and copper).